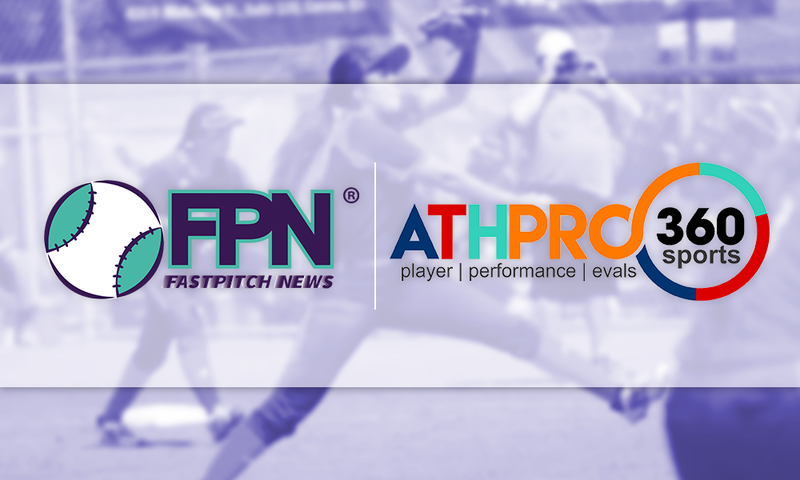 Fastpitch News is excited to align with AthPro360 in a partnership that will strengthen our ability to bring forth the most thorough, objective coverage possible! You may be asking, “what is AthPro360”? Continue reading below to learn more about this amazing platform. AthPro360 is a multi-tiered platform offering testing, events, and education to athletes everywhere. Its state of the art platform and proprietary algorithm allows AthPro360 to produce objective results and even placement projections (highest level of play possible given current metric) for all participants. AthPro360 is designed for athletes, teams, trainers, college recruiters, and more! A core value of this system is providing athletes tangible metrics, data, and benchmarks to help them understand where their game is and identifying areas of improvement. AthPro360 not only provides this data to participants but also works with these athletes, coaches, trainers, and more to understand what is in front of them and how to use it to strengthen their game. AthPro360’s data is backed by the largest database of verified scores and skill evaluations in the world; making it the definitive leader in athletic testing and measurables. AthPro360 relies on two critical areas: Athletic Performance Testing and Skill Evaluation. When these are combined the resulting number represents an athlete’s Player Performance Index which is an objective measurement used to show a player where their skill set currently stands. Athletic Performance Testing consists of 5 stages: Speed, Agility, Hitting, Throwing, & Strength. During these stages, players will be tested on their 10 Yard Dash, 20 Yard Dash, 40 Yard Dash, Flying 20, Agility Shuttle, Pre-Impact Speed, Exit Speed, Overhand Speed, & Grip Strength. Skill Evaluation consists of skill-specific drills that are assessed by trained and independent evaluators. Players are scored on a 2 to 8 scale in three skill areas: Throwing, Fielding, and Hitting. After the players go through each drill and the evaluators assess their performance, the grades are combined to create a single Skill Performance Index (SPI). The Skill Evaluation completes the athletic profile of a player. Many players are highly skilled athletically, but they may not have the skill set necessary to play in high competition levels. 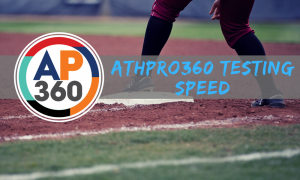 After testing, participants receive their Player Performance Index (PP) and all results are cataloged into a database with all current and historical scores ever collected by AthPro360. Athletes, coaches, parents, trainers, etc. are able to paint a better picture of “where they stand” among other players – both past and present. AthPro360 is truly a unique experience and platform. It supplies a unbiased, honest, and fully comprehensive look into each and every players game. 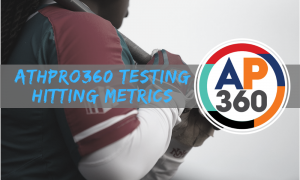 AthPro360 combines all the “pieces of the puzzle” – from testing and evaluations to team management to the social network, everything in AthPro360 is connected. 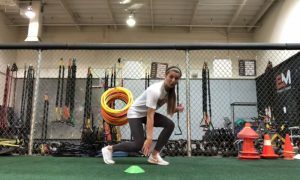 When you and your team is tested by AthPro360 you can be assured that all athletic testing personnel and skill evaluators are trained and certified to ensure that all drills follow the proper protocols. By training all personnel administering the athletic testing and skill evaluations, AthPro360 has standardized the data being gathered; this means that a player evaluated in California will go through the same process as a player evaluated in New York or Texas. A standardized process creates the most reliable and objective data that players, coaches, and teams can trust. Everyone is searching for and integrating data into their training in hopes of taking their game to the next level. Coach can also now integrate this data into the selection of their teams and programs from year in and out! AthPro360 provides the most sound and nation wide data and database to guide athletes through their development and training strategies. How will FPN utilize AthPro360’s data? FPN is thrilled to integrate the metrics and data collected by AthPro360 into our Top Prospect Report, Super 60 team rankings, and more going forward. This proven and in-depth analysis will help us ensure that FPN is putting forth the most sound, all-encompassing rankings and stories possible. We are excited for the opportunity to tap into this data as well as highlighting the best discovered – and undiscovered – talented across the country. What we love about AthPro360? AthPro360 has so many features that sets it apart from other testing platforms. One of our favorite pieces is AthPro360’s phone applications available for both Android and iPhone. The clean interface and user-friendly design makes accessing team and player data; sharing videos and updates; and tracking teammates and competition easy and fun! We also love the ease of accessibility players, coaches, teams, etc. have to reach the results and data. It’s important to be tested but even more important is the ability to access and understanding those results so an athlete can put them to work to improve. How to get yourself or team tested? AthPro360 teams many teams and players at camps in tandem with various tournaments across the country. Teams and programs can also contact AthPro360 to set up a testing!